One of the more extensive window replacement projects is the building of a bay window or bow window from scratch where there wasn’t one before. These projects require a lot of expertise and know-how on the part of the installer, as the window becomes a physical addition to the house and changes the weight and distribution of the exterior wall. The installer, however, is the last piece of the puzzle. The homeowner, the person making the decision, has to be well informed about the pros and cons, as well as the hidden risks of bay and bow window projects. The installer, however, is one of the key pieces of the puzzle. We often stress the importance of correct window installation. It is especially important here because if not done correctly it can cause more than just a leak or draft. A badly installed bay window can collapse the whole wall or worse lead to injuries. As a homeowner making the decision, you have to be well informed about the pros and cons, as well as the hidden risks of bay and bow windows, so that they can be left satisfied with the end result. In Canada, The CSA Group outlines and upkeeps the standards for any residential window installation. Before we get into the pros and cons of the bay and bow windows, we should identify what is a bay and what is a bow. Bay windows are three to four-panel exterior windows which protrude to the outside of the home. The two side panels are usually operable for ventilation purposes and can be fitted with vinyl casement windows or double hung windows. The center panel is usually a large fixed panel. Depending on how it is made, a bay window can be made to have a seat (which can be made into extra storage) or as a walk-in window. Bow windows are four to six-panel exterior windows which protrude to the outside – in the shape of a bow – to the outside of the home. There is no common way to have operable windows installed in a bow – some homeowners choose to have all panels remain fixed. As a rule-of-thumb, a bow window is a walk-in window. The main features of the bay and bow window – its protrusion and its extra glass – are both the benefits and the downfall of these custom windows. The obvious benefit of the bay or bow window is the extra space that it adds to the room. Depending on the size of these custom windows, you can add anywhere from six to eight square feet to your room. In the kitchen, this type of window adds extra sill space. The downfall of this feature is that it makes the window prone to condensation. This is partially because of the temperature of the window and a lack of air circulation. As these windows extend from the insulated area of the home, they are usually colder, even if well insulated. During cold seasons, the air inside a bay or bow window will be a couple of degrees lower than the rest of the house. Combined with poor circulation, this phenomenon leads to condensation as the cooler air holds less moisture. The other benefit of bay and bow windows is the added viewing area. Unlike a regular living room window which provides a two-dimensional view of the outside, a bay or bow window allows the homeowner to expand their field of vision. At the same time, this allows more fresh air inside the house as the window is able to catch breezes better. The downfall here is similar to the earlier one; during cold seasons, the glass temperature is much cooler than that of regular residential windows. This is because the glass surface is more exposed to the outside and prevailing winds. What it means for the home is that more heat is lost to the outside through conduction. It is often difficult to tell about the state of the wall until the window is taken out. 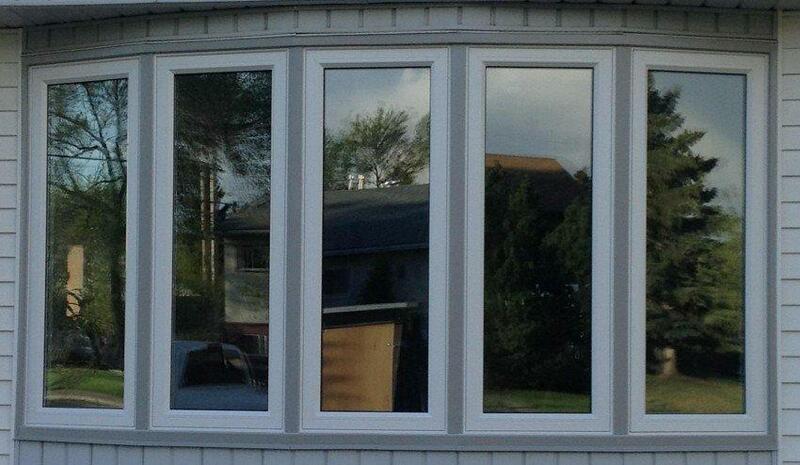 The build bay and build bow projects are the pinnacle of custom window replacement. These goliaths of the window world require not only superior window installation know-how but also a high level of construction knowledge. Having both allows the installer to build a custom window that will meet both the homeowner’s tastes and the building code’s specifications. These projects are very labor intensive and usually require two days of work. All necessary framing for the bay window is done from scratch, this allows the window to be customized. For this reason, bay window prices are slightly higher than those for regular home windows. Bay and bow windows have their own quirks that homeowners should keep in mind. These will be discussed in our next post. As you can see, bay and bow windows offer quite a few tangible advantages in every home, not to mention the fact that they look great from the outside. If located in the right spot, the drawbacks of these windows can also be minimized. Thus, at the end of the day, the decision to get or keep a bay window should be carefully thought through with special consideration for the location of your home, your local climate and the quality of your home’s air circulation. Residential Bay And Bow Windows: The Hidden Risk Overall rating: 4.9 out of 5 based on 41 reviews.